Howdy folks, My friends call me Goose. I’m an RPG Methuselah who enjoys gaming on all platforms throughout the decades. 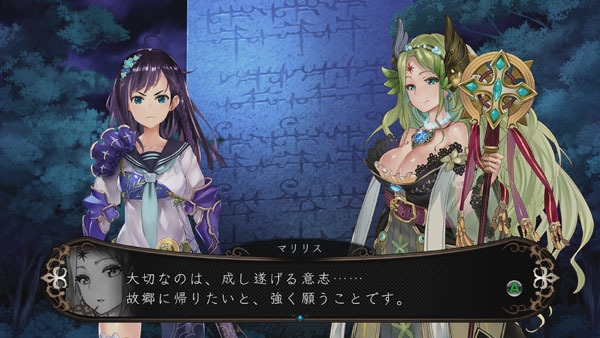 I’m the kind of RPG enthusiast who imports JRPGs without translation just to play them. I’d like to thank Aaron for giving me the opportunity to post a review on GameEnthus. I don’t want to review a game based on slamming past easy difficulty and posting total hours played as if that helps anybody make a purchasing decision. Currently my save is post 60+ hours and my party is level 30+, and if the blood crystal chart in Stranger of Sword City (SoSS) is the guide for how far I am in the game, then color me eighty percent finished (on Normal difficulty at the “Choose your Destiny” point). Did that make you decide? Maybe not. If you’re looking for a snip-it concerning the quality of SoSS, here it is: I enjoy playing this game. I’ve had fun with my 60+ hours of loot grinding and power leveling for survival so far and I can easily see myself pouring another 20+ hours to completion. 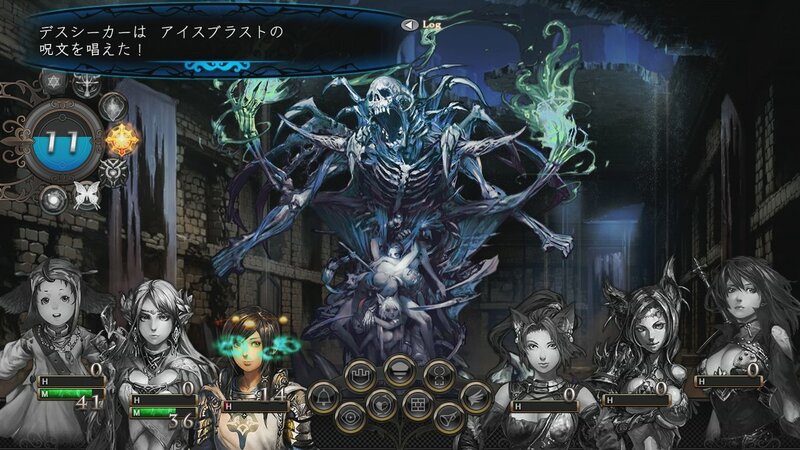 Stranger of Sword City is from Experience Inc., a company that delivers a slew of DRPGs in Japan. SoSS started out on the Xbox 360 in 2014 only in Japan before later being ported to Vita in 2015 (also only in Japan). Now Experience Inc. is now self-publishing SoSS for the first time outside of Japan on Xbox One. On March 22nd you will be able to download the full game on Xbox Live and play as a free trial for 8 hours. This Xbox One version includes an exclusive additional art style for the character portraits and story board cut scenes. 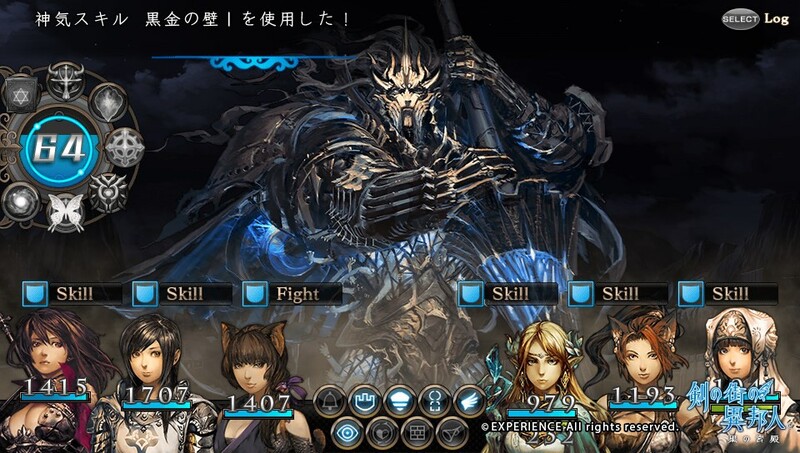 The original art style has a very strong South Korean fantasy illustration influence, while the new bonus style is more of a traditional JRPG feel. You can change art styles at any time from the settings menu. Thankfully in character creation you can mix portraits from either style (though this review notes that the final page of portraits appear to be from the future RPG port of “Students of the Round” ). Dungeon exploration in SoSS is accomplished by moving in discreet steps and ninety degree turns on a grid formed map. The point of these dungeon romps is to find and defeat bosses, called Blood Lineages, in order to collect their blood crystals. You then hand these blood crystals to one of the three factions in order to advance the plot. The Blood Lineages are sometimes in fixed locations while others may have requirements in order to appear. You will find some Blood Lineages after you defeat a certain number of their minions in a single outing. One Blood Lineage is listed as having a sweet tooth, so perhaps you will have to find some form of candy in order to lure them out. Before you go hunting powerful Blood Lineages you will need to search for good hiding spots to ambush sub-bosses transporting loot. In order to keep these loot chests you must defeat a sub-boss before he escapes. The lock on a loot chest is in the shape of what type of item(s) are inside. How ornate the chest is determines the item(s) potential power. So a silver chest with a sword-shaped lock has the potential for fairly powerful sword(s) inside. The combat is one of the main reasons I really enjoy SoSS. There is a ton of brutal combat and loot grinding to survive, however every aspect of it can accelerated or instantly resolved. You can accelerate combat resolution so fast, you’ll think your ranger has a Gatling gun equipped. If that is not fast enough to meet your hectic day, press the Y button to complete a combat round and watch all the attacks resolve as one gigantic blood and particle effect explosion, then deal with who lives and who dies. On the auto-map just point to a location and press A twice to see you party speed walk to any already explored location. SoSS is a JRPG that respects a gamer’s valuable time, and that is what I love about it. Download the 8 hour free trial of Stranger of Sword City post March 22nd and see what you think. In the interest of full disclosure, this reviewer was provided with a free digital copy of SoSS for review purposes. Though I find it difficult to relay value to a consumer about something I received for free, I also don’t feel justified in telling somebody else to spend money on something I didn’t pay for. So to support the developer, when SoSS launches on March 22nd I will be purchasing a digital code for Aaron to give away to a random GameEnthus fan. I’ve enjoyed SoSS and can recommend it to fans of dungeon RPGs everywhere. Thank you for your time. -Immortal = Undead. The term “Immortal” is a little too grandiose to describe a random skeleton. I thought my sword has a bonus vs. gods and demons when I saw the term “Immortal”. -Make a full guild at the start of the game (at least one of every class). Not only do idle characters in the guild level up on their own, but they also earn free money! Fill those ranks and collect free money. -Handing in blood crystals advances the story chapters. Be careful to save your game before handing them in, you may find a mandatory boss battle you aren’t prepared for, or a zone closed off until some task is completed. -The “Invincible” talent at character creation of VERY important. I cannot relay to you how many times my cleric has been instantaneously killed via “critical hits”. The AI knows to take down your healer with instant death moves. “Invincible” defends against this. -When I saw the class “Dancer” I facetiously created an ugly middle-aged male dwarven dancer. He instantly became the most powerful damage dealer with the highest total hit points in my party. Despite having the second lowest “avoid” rating of my PCs, he somehow dodges every attack to finish combat at full health almost every time. He is the character I depend on to hammer bosses into submission, all from the back rank of my formation. -Don’t be afraid to spend your divinity points (Morale) in combat. You will replenish your morale just by hitting enemies (and being hit). The more difficult encounters require balancing the right divinity abilities in order to survive. Practice early and freely. -Don’t panic if your party is poisoned. This is the first RPG I have ever played that just lets you walk around while poisoned. Poison only damages your party during combat between rounds. -The Mage ability “High Cast” does NOT double the mana cost of the spell used. This ability casts a spell twice at NORMAL mana cost. Use this ability all the time on powerful opponents. The same advice goes with the ability “Master Cast” (Use the same spell 3 times. Uses NORMAL amount of mana). -The shop keeper claims early on that he re-stocks items, though in my 60+ hours of game play he has never re-stocked any items he is sold out of. Be VERY careful when choosing to use items that revive dead characters and items that restore Life Points (not Hit points) those items are beyond value. -Use the B button to advance dialog. Using the A button you might accidentally choose a dialog option.